6/14/15 Head or heart? Which type of connection will give me my best return on investment? Spirit explains below how using heart felt connections with others helps me to gain way more than I ever expected. Now, how can I deposit that return into my retirement account? Connecting with others is an art form because it is constantly changing. There is not one defined path that can be repeated for every situation. Instead, there is a process to follow and signs to look for that will lead you in the right direction. Connection to others is a connection of feelings through emotions. Emotions are your thoughts, manifesting into the next stage of physicality. This makes them very real, with a significant amount of energy placed into them. The more you think about any one thought, the more energy you place into that thought. The more energy you place into a thought, the faster it manifests into your reality. Emotions are a first step into physicality for some thoughts. Thoughts often related to emotions are thoughts of joy, sadness, anger, relief, etc. These thoughts, and others like them, send an outward signal to yourself and others, of the thoughts that are most prevalent in your mind. We want you to realize that emotions are also a signal to yourself, describing what is going on in your mind. This is important for you to recognize because We often see you ignoring these signals, believing that your logical thinking concludes better, more true thoughts. We see you following your mind more often than your heart. You place more value, weight and worth in your logical thoughts than you do your emotions. This defines Who You Are and is OK. You may choose to continue down this path and recreate what has worked for you thus far. Allow yourself to temporarily suspend your beliefs in logical thinking and let the words on these pages sink in for a moment. Imagine how your world would be different if you tried to listen and connect with your heart. Your emotions are gateways to your inner most beliefs. They connect your conscious mind with your deepest, innermost beliefs of Who You Are in that moment. Connecting to that part of yourself that is in touch with the core beliefs of Who You Are in the moment is in actuality connecting with Source. It is a way of bypassing all the layers of illusion created in the physical world to maintain the illusion of separation. Separation is what allows you to experience the physical world the way you intended. Separation also keeps you from connecting in the moment with yourself and others. It is separation that you created for yourself to experience the physical world, and it is separation you seek to transcend to connect more fully with others. It is your desire to connect with others that will be the catalyst in creating your improved connection. It is your desire, as focused thought energy, that will manifest your connection. Your desire for a more fulfilling connection with others will increase and heighten your awareness of their body language, voice inflection and other perceived connections. Your heightened awareness of these outward signs will invoke a better interpretation of their signals. As you interpret their signs better, you will react differently, with more empathy for the person. This, in turn, will change their reaction as they feel heard and understood. They will then relax more in your presence, appreciate you more, and want to be with you more. As you feel this reaction from the other person, you will naturally enjoy their presence and listen more carefully. This dance between souls is beautiful to witness. It is a dynamic situation, fluid and ever changing. It is never exactly the same way twice. Each time is a new adventure. Each new connection is a challenge to the new skills you are learning. Each person you encounter will react differently and the same person will behave differently in each new situation. No two situations will be exactly the same, even if you attempt to align the environment and setting to be exactly the same. This is because the time between each encounter, even within the same moment, is constantly changing with new thoughts, ideas, judgments, and so on. Your belief in separation is a challenge to overcome, but not impossible. As We discussed in the first chapter, think about your new idea of connectedness. This, in time, will replace your old thought of separation. 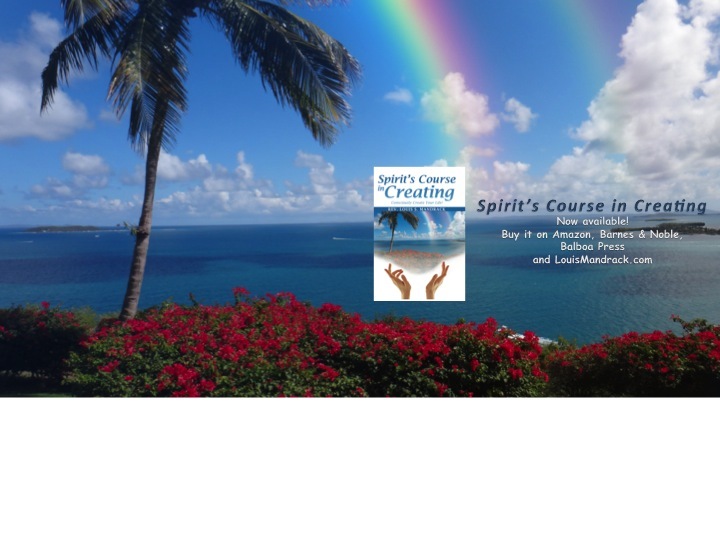 Ppssst… If you like reading this material, you can now get Spirit’s Daily Inspirations, a few sentences, right to your inbox every morning to start your day focusing on creating what you want. …and its FREE. Who came up with that idea? Comments, questions, queries, connundrums? Use the comment section below.